We have already seen several smartphone OMEs announcing their sub-brand. Last year, Xiaomi announced its new sub-brand POCO F1 or POCOPHONE F1. There are also Huawei’s sub-brand Honor, ZTE – Nubia, and OPPO’s sub-brand Realme. Now Vivo has announced its new sub-brand called iQOO. The official page of the Vivo’s sub-brand iQOO is also live now on the Chinese social media site Weibo. Vivo made the announcement a day after Chinese New Year. According to Phoenix Network Technology, “iQOO mobile phone” via Chinese technology blog Sohu, Vivo sub-brand iQOO will aim smartphones at a 5,000 yuan price segment, which is around Rs. 52,000 Indian rupees. The new sub-brand iQOO from Vivo is said to aim at building only a high-end flagship mobile phone series. The poster reveals some high-end and futuristic elements which Vivo will bring with its iQOO branded phones. 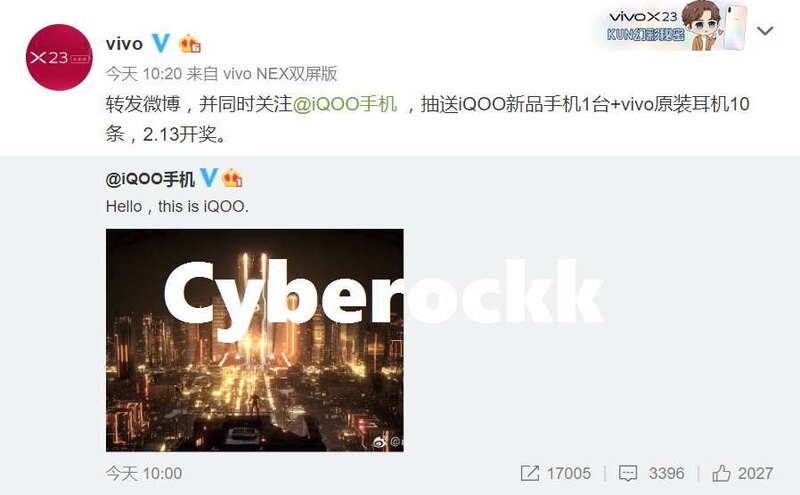 As of now, we only have this sort of information about Vivo’s new sub-brand iQOO but we are likey to hear more information soon from Vivo.